This line has appeared on everything from pencils to mugs to bumper stickers. Now you are a teacher wondering what kind of lasting mark you will make on the kids in your class. Here are ten ways you can positively impact your students for eternity. 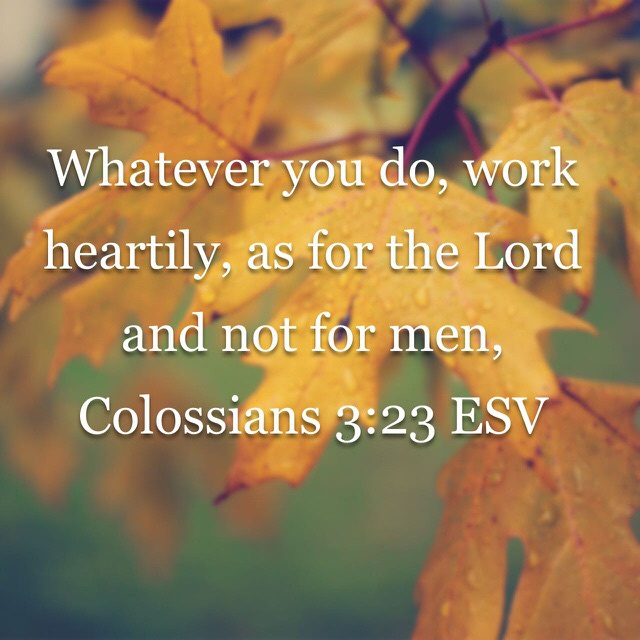 Colossians 3:23 says that we should approach each task wholeheartedly, as a direct service to the Lord. That’s not always easy to keep in mind when you’re wiping up spilled glue or your toes are being stepped on or a child sneezes in your face. But circumstances don’t change God’s Word. Teach this class to the very best of your ability. Let the children know how God is teaching you. Share personal stories of how God has been and is working in your life. If the children can identify with you they will know their struggles and questions are normal. They will feel safe sharing with you and the rest of the class the things God is teaching them. Scripture tells us to reflect the person of Jesus to those around us. Your students need to know you love them and are glad to have them in your class. Love each child as Jesus would. Listen to them. Hug them. Care for them. Spend time reading the Bible and not just the lesson manual. Predetermine the goals for each session. What do you want the children to know, to be or to do as a result of the lesson you are sharing? How will you know if that goal is reached? The Word of God is alive. As you prepare your lesson you will experience God at work in your heart. If you ask He will show you ways to apply the truths to the individuals in your class. Allow the Holy Spirit to direct you as you consider examples of sin and how to apply the main teaching of each lesson. Present the Gospel in a way that will allow unbelieving children to understand. Teach young believers to honor the Lord—now and forever. Show up on time. Don’t make the children wait for you. Be there, well-prepared and waiting with open arms. Have supplies at hand for crafts. Cue up the CD. Be ready! God has created each one in your class in His image and yet they are all so different. Some are believers and others are hearing the good news for the first time. Some like to be the center of attention while others keep to themselves. Many children learn just fine by listening to you tell a story; others need visual aids, while still others need to get totally involved with the lesson. Be sure your classroom is a safe place for the children physically and emotionally. Look over the room to see if it is set up for the right age group. Is the equipment child safe and adequate for the needs of your students? Follow the safety procedures instituted by your leaders. Never leave children unattended. Make sure each child’s ideas are given appropriate consideration. No child should be put down because of who he is, how he looks or the way he thinks. Pray for the children to have understanding of God’s Word as it is taught. Pray that the Word of God will stir their hearts toward a deeper relationship with God. Pray for their families and specific needs and concerns of your students. Pray that you will be an example of God’s love and grace. Whether you are teaching for just a few days or looking forward to a long-term commitment you will make an impact on these little ones. Keep doing your best—even when you don’t see immediate results. You may never know the full impact of the time you invest in these children but you can know your ministry will bring results. “Always give yourselves fully to the work of the Lord, because you know that your labor in the Lord is not in vain” (1 Cor. 15:58).